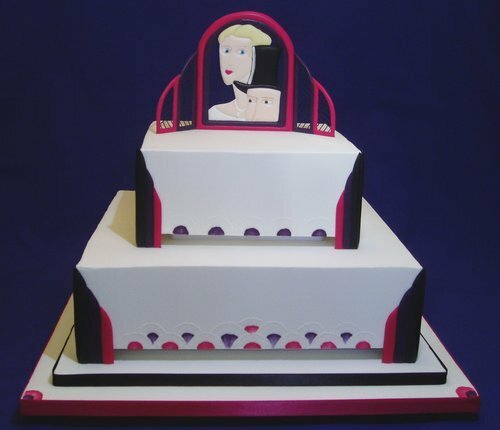 A dramatic two tiered Art Deco style wedding cake. Square cakes are coated with Royal Icing and stacked reflecting the geometrical style of the 1920's. The black, purple and pink colour scheme adds drama to the design. A stylised portrait of a bride and groom completes this elegant cake.